Professional basketball is one of the most generous sports. Players even get praised for making an extra pass. But just as these players give a helping hand during a game, they know how to assist off the court as well. NBA stars of past and present have been known to be some of the most giving players out there, and the league gets involved too. Teams sponsor different Heritage Nights to honor the cultures of its players and to get fans more involved. 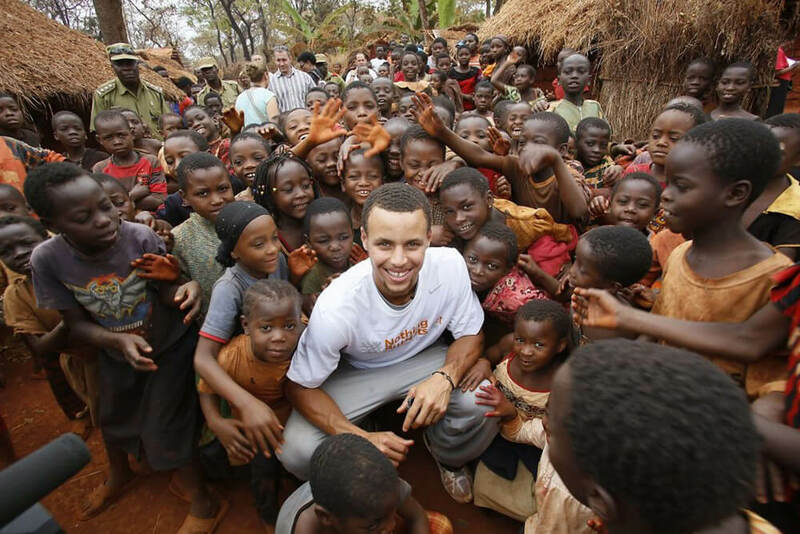 The league also operates NBA Cares, a global outreach and social responsibility program. In addition, many individual players make an effort to give back in a huge way. Read for yourself who some of the most generous players in the NBA are. You won’t believe how far some of these players go to help out. “My cousin was killed today in Chicago, the start of Dwayne Wade’s tweet read. “Another act of senseless gun violence. 4 kids lost their mom for NO REASON. Unreal. #EnoughIsEnough.” Chicago is pretty much the murder capital of America and Wade wants to see that come to an end in his hometown. Still to come: LeBron James, Kevin Durant and many more! The NBA champion, league MVP and multi-scoring champion Kevin Durant doesn’t just torch courts, he remodels them as well. 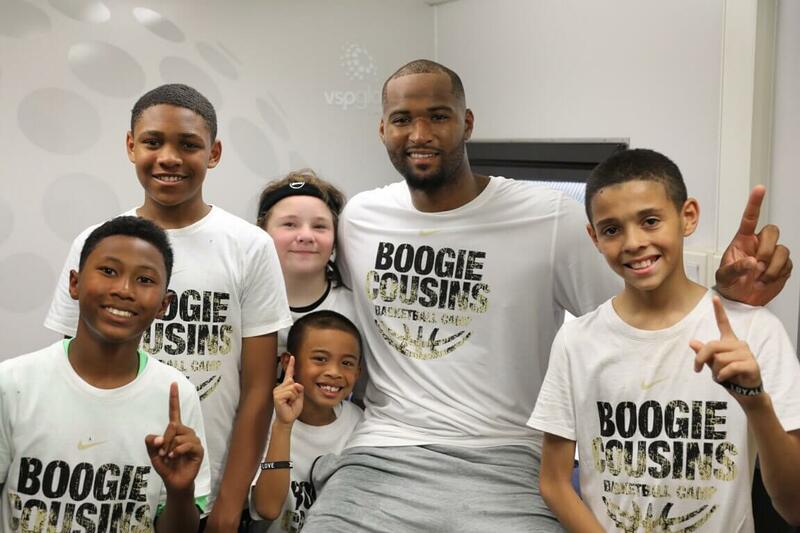 During the 2017 NBA playoffs, he took a break to give back to some of the fans and youth of the bay area. 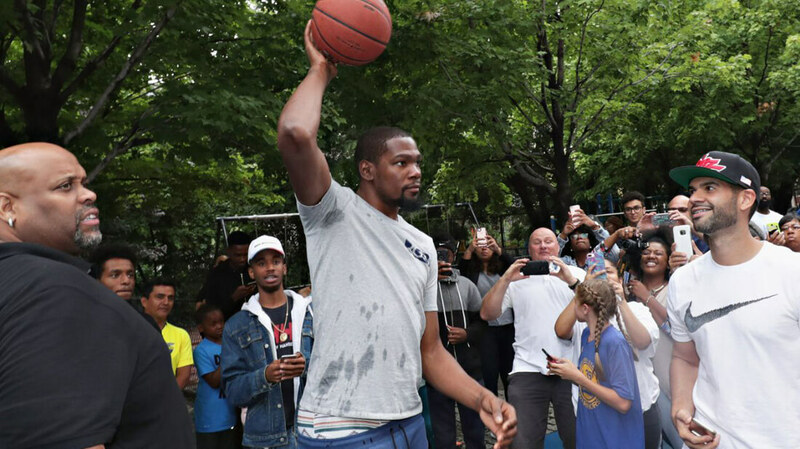 The Kevin Durant Charitable Foundation and Golden State Warriors teamed up to renovate the courts outside and inside at Lincoln Park Recreational Center. Pau Gasol is a champion and for good reason. He is still producing at a pretty high level even in his later years of playing. He likes to keep his body in peak shape. 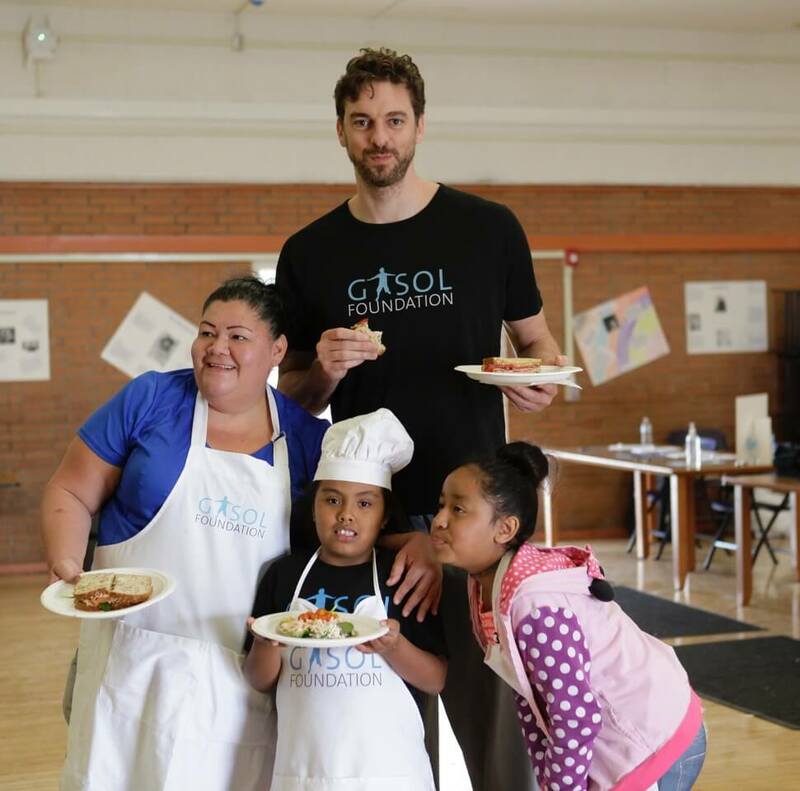 He happens to be an activist for health and wellness through his Gasol Foundation. He wishes for zero child obesity. 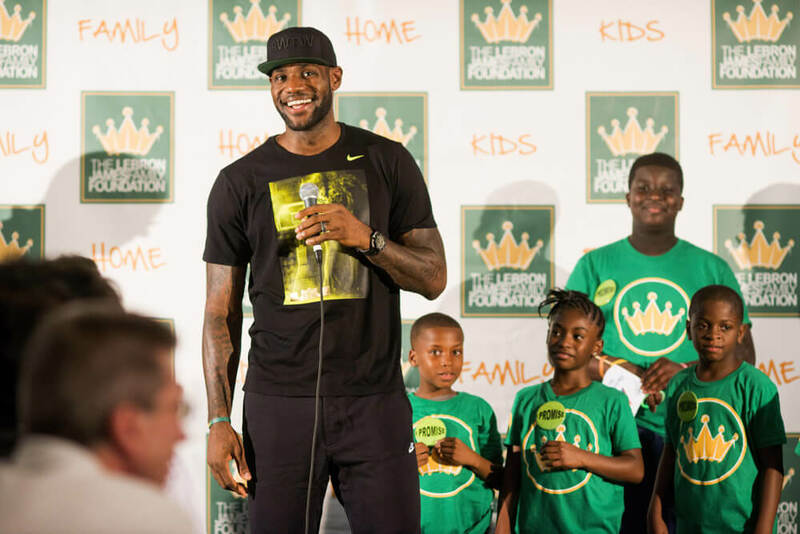 His foundation operates in America and Spain with the main goal of reducing childhood obesity. With the help of partners like UNICEF and St. Jude Children’s Research Hospital, this goal is closer in reach for the seven-foot star. Carmelo Anthony loves it when his teammates feed him the ball. If you didn’t know, shooting the ball is his forte. He isn’t much of an assist man during games. 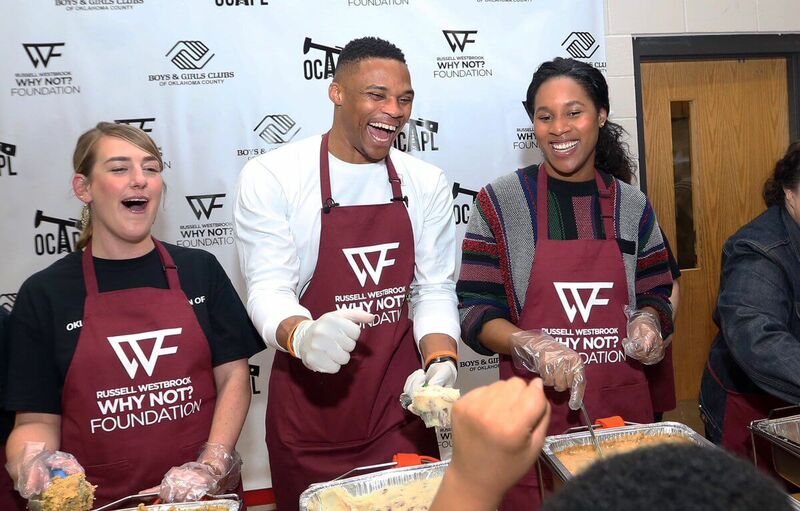 But when it comes to feeding the community in Oklahoma, you can count on him. In November 2017, Anthony found himself with Junior and his mother Dian Dominguez. They went to the store and stocked up on groceries. “It’s a community, Anthony said. “People here make you feel accepted, make you feel wanted and make you feel appreciated. In return, the best thing we can do is say thank you and show that we appreciate the people here in OKC.” This is a frequent activity for the all-star forward. Next, learn how one small man with a big heart helped a young boy. The 5’9″ guard of the Cleveland Cavilers has overcome a lot and still fights hard battles each day. His stature is one of the biggest hurdles he has learned to combat. In a league that specifically looks for height, Thomas bypassed that standard with the heart and tenacity he brings to the court. It only makes sense that he would connect with a young boy battling cancer. Gavin Heileman, like Thomas, was not supposed to be where he is. He has anaplastic astrocytoma. He’s overcome a grade III brain tumor. Seizures, chemotherapy, and the loss of feeling on the right side of his body all happened before he enrolled in elementary school. 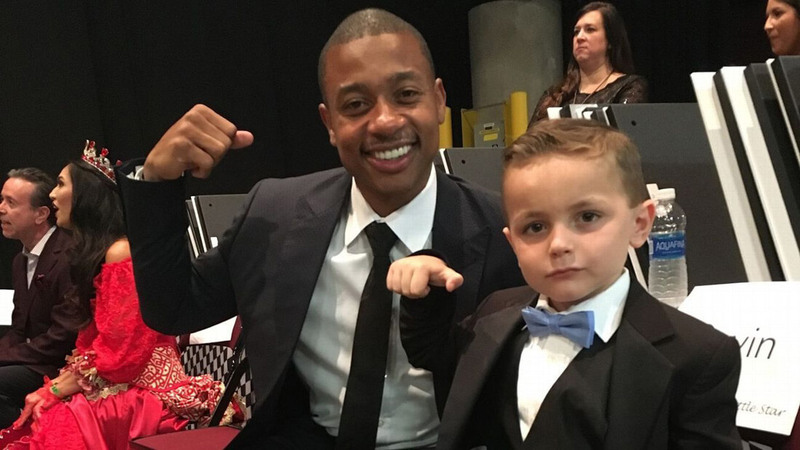 Thomas was Heileman’s chaperone at the Cavaliers annual “Big Shots and Little Stars” fundraiser. “I’m not a huge crier, and I just started bawling because you could just tell that Gavin felt so comfortable with Isaiah,” said Gavin’s mother. John Wall is known for his amazing dunks and electric speed on the court. Not many people really see the other side of the Washington Wizards point guard. In 2014, he made headlines for something other than dunking. He became friends with Miyah Telemaque-Nelson. She suffered from rare cancer called Burkitt’s Lymphoma. Prior to a game in December of that year, it was announced that she had passed away. Wall was a wreck and broke down in tears during a postgame interview. 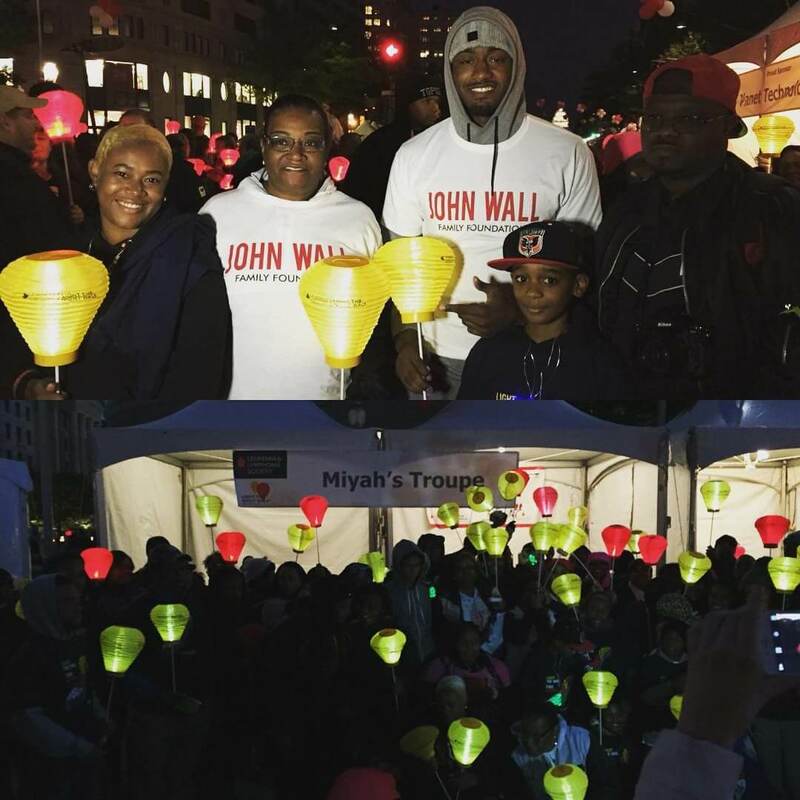 Since then, Wall teamed up with Leukemia and Lymphoma Society to sponsor a walking team called “Miyah’s Troupe.” He already has the John Wall Foundation so this is special for the flashy player. Rest days are highly important for NBA players thanks to the grueling schedule of an 82-game season. 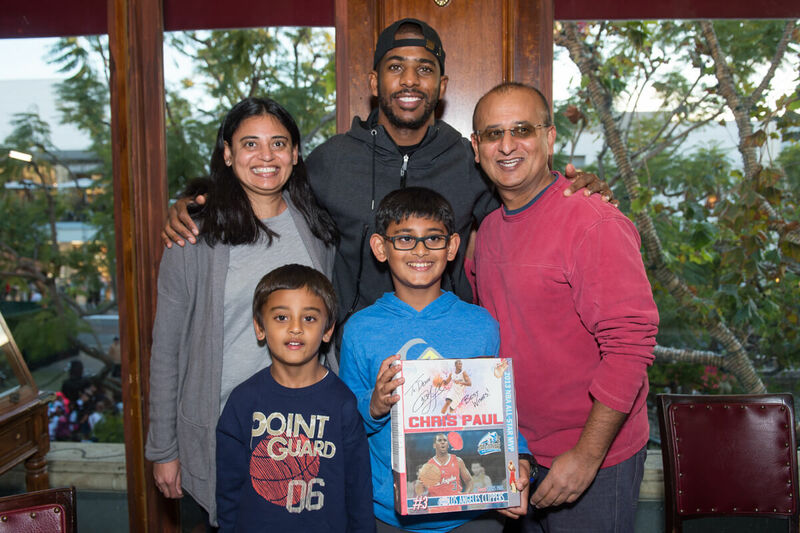 For Chris Paul, there is no rest for the weary. In December of 2016, Paul teamed up with Feed the Children and LA’s Best to help uplift the holiday spirit of those less fortunate. He read holiday stories to the children who came and treated them to food, entertainment and a visit from Santa! 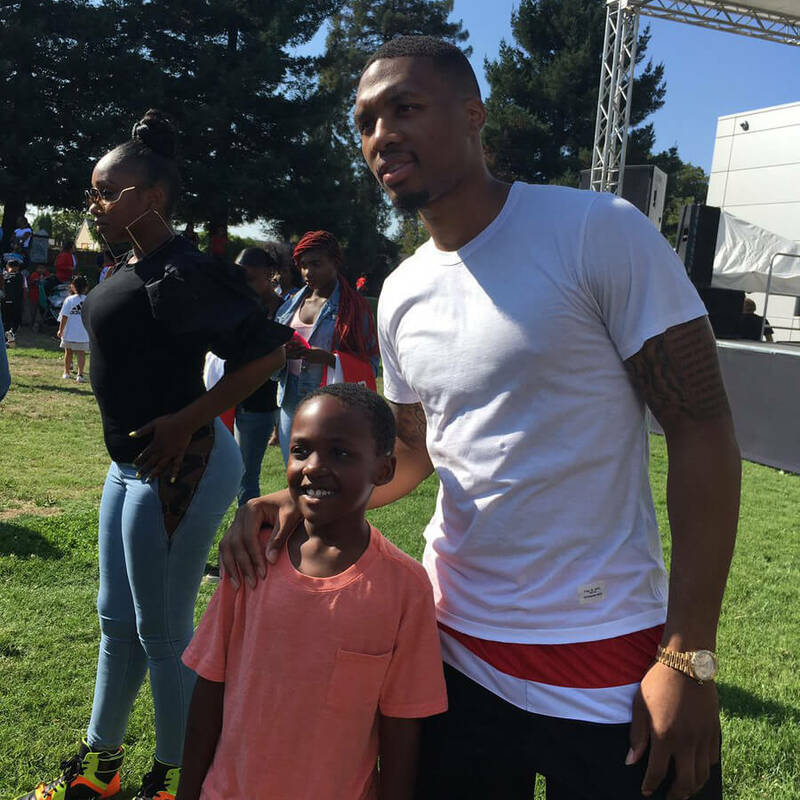 The underrated point guard of the Portland Trailblazers, Damien Lillard, throws an annual picnic for his East Oakland neighborhood. It seems like the event gets bigger each year. He is now up to the fifth year of doing it as of 2017 and it’s a chance for Lillard to walk around, meet the kids and just be a positive role model for the kids growing up in the low-income area. Now see what LeBron has in store for the kids of Akron. When you watch LeBron James play, it’s like watching a man among boys. He wouldn’t have all his accolades if it weren’t so effortless for him. James wants to open a public school in Akron, Ohio, called “I Promise.” It is geared towards educating students who are at risk of falling behind. Late in 2017, the Akron School Board approved a plan for the school. “Besides having three kids and marrying my wife, putting my mom in a position where she never has to worry about anything ever again for the rest of her life, this is right up there,” James told reporters. 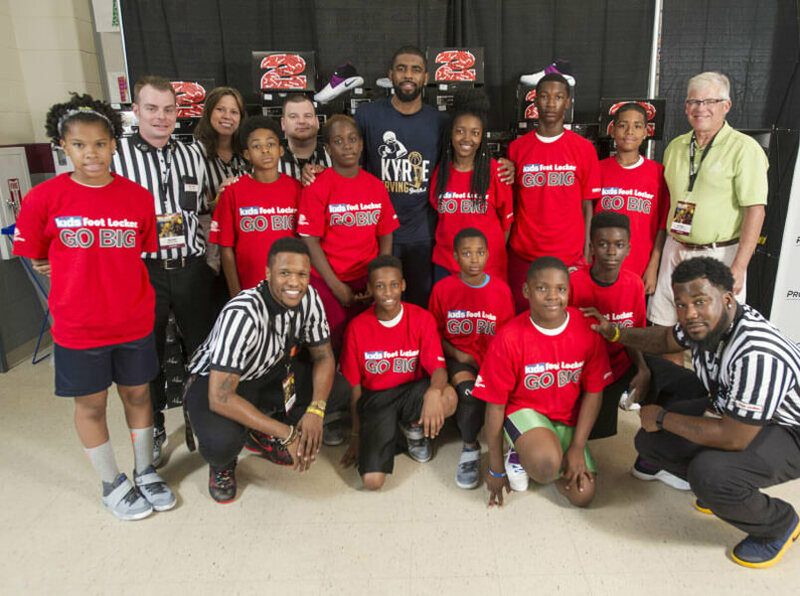 Coming up soon, Russell Westbrook, Kyrie Irving, and other stars showcase their giving spirits. 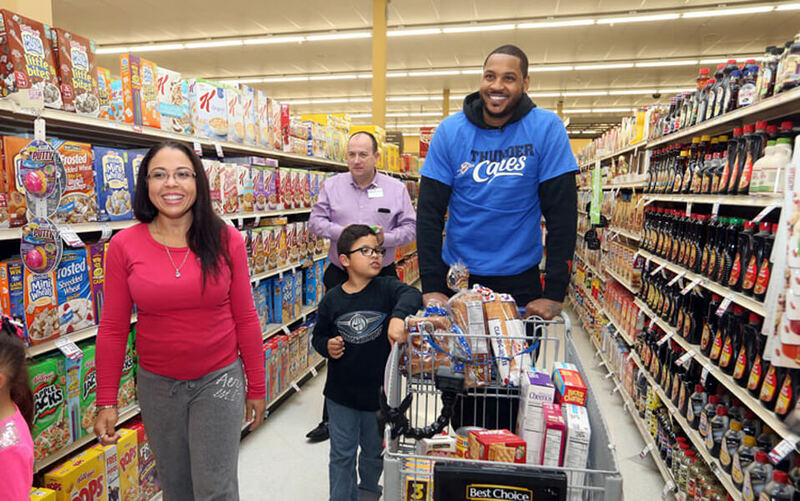 Every offseason of the NBA, there is a winner of the NBA Cares Community Assist Award presented by Kaiser Permanente. DeMarcus Cousins was the winner of it in 2017. He was the first offseason honor since the program started in 2001. It recognizes players who do a lot of work from the end of the regular season to the start of the new season. In case you were unaware, Kyrie Irving is the reason why LeBron James and the Cleveland Cavilers won their first ring in 52 years. A clutch shot over Steph Curry in the final seconds (a shot the head coach Tyrone Lue calls the biggest shot in Cavs history) propelled the Cavs to an NBA Championship. Throughout the finals, Irving scored a total of 190 points. 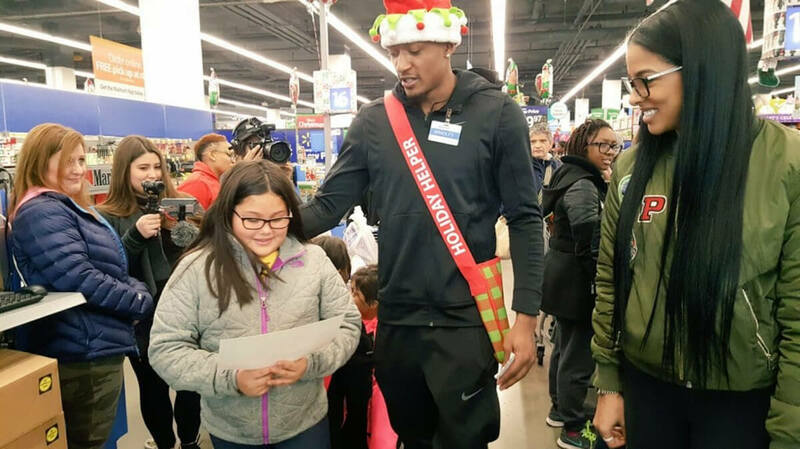 The shooting guard of the Washington Wizards, Bradley Beal, is more than just a good shooter. The young player has developed his skills a great amount since being drafted in 2012. He now has a bigger role on the team. So big in fact, that if he doesn’t help they are more than likely to lose. The Toronto Raptors Forward Serge Ibaka is a monster on defense. His nickname is Serge Iblocka. Ibaka may have made it from Brazzaville, Republic of Congo but he hasn’t forgotten his roots. 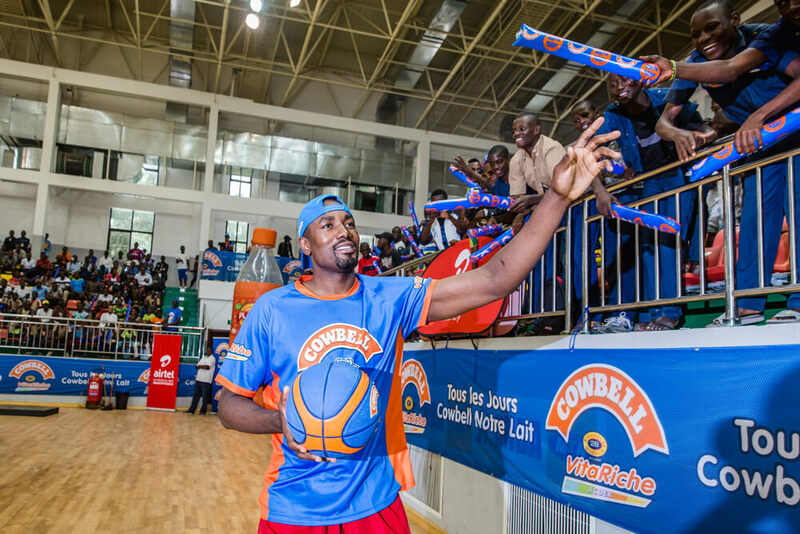 Every year, Ibaka and Cowbell Milk team up to host the Cowbell Ibaka Games. These games celebrate Congolese culture through sports and music. Ibaka’s foundation highlights promoting education, health, and nutrition for the youth of Congolese. HIs work doesn’t go unnoticed — he was named a Global Citizen and ambassador for health. Up next is an MVP who plays with venom. But don’t worry kids, he doesn’t bite at all off the court. Russell Westbrook is a player you must see. He isn’t the tallest but he attacks the rim like he’s seven feet tall. His speed is almost unmatched so he just blows by defenders. And in the 2016-17 season, he was the first player since 1962 to average a triple-double. He tells everyone why not? This is a mantra he has stood by for years and it has even become its own brand. 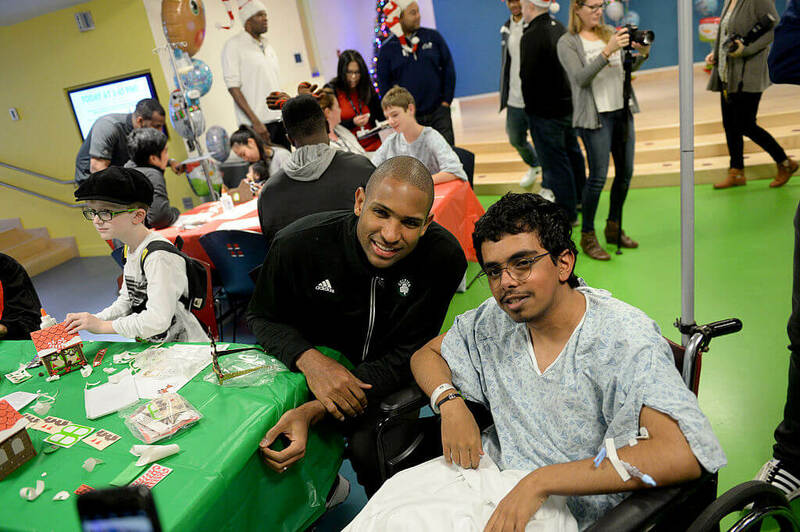 Al Horford is already one of the best assisting bigs in the NBA. He averaged 5 assists for the 2017 season, which is a high mark for a center. But when he isn’t setting screens for Kyrie Irving in Boston, you can find him in his hometown of Puerto Plata helping the youth. 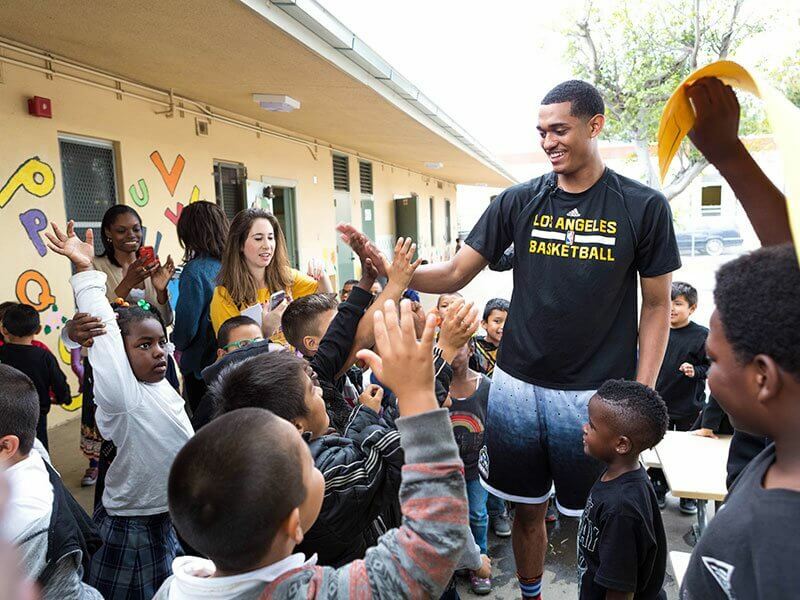 Jordan Clarkson of the Los Angeles Lakers is one of the leaders of the team currently in the rebuilding process as of 2018. The young player says basketball changed his life before he was even drafted. He just wants kids to have that same opportunity. In the summer, he works on helping kids in low-income communities stay active. 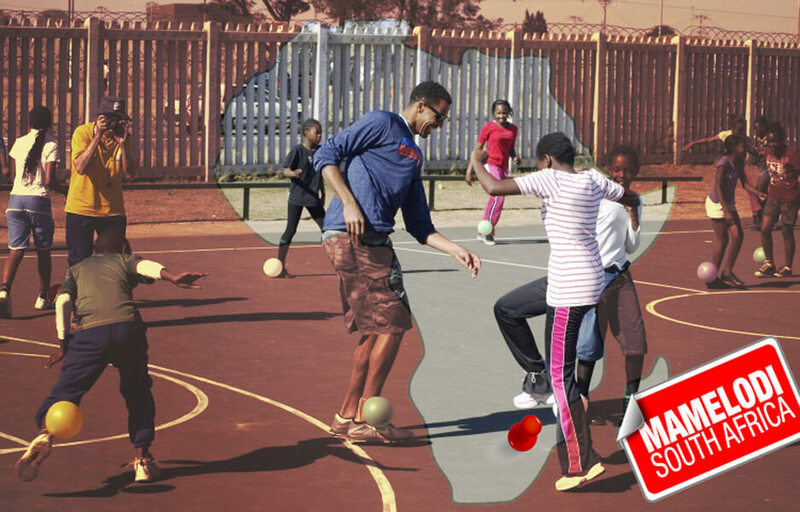 He runs his Nike JC6 basketball camp and visits schools with the Alliance for a Healthier Generation. Gorgui Dieng came to America in high school for basketball. Now, basketball is helping him change the lives of the youth. He is known for his defense but now he is helping defend lives in his hometown of Kébémar, Senegal. 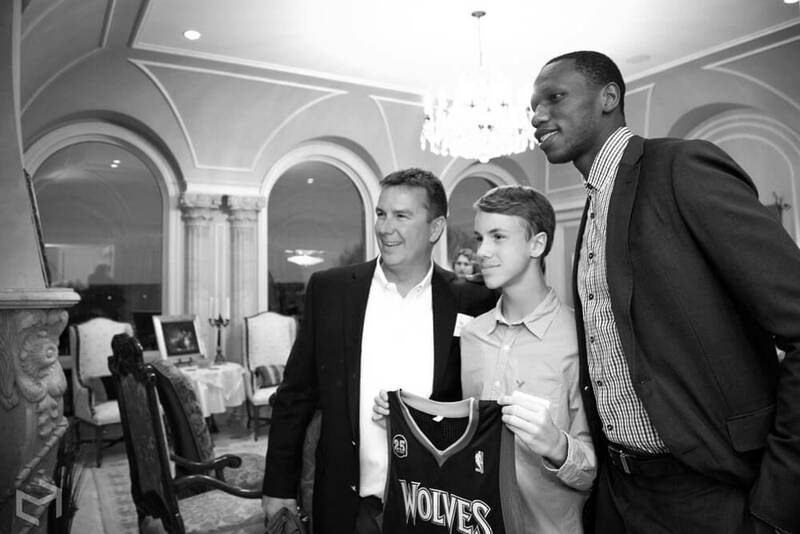 The Gorgui Dieng Project raised money to help equip the hospital he was born in with better supplies and train local farmers in sustainability practices. 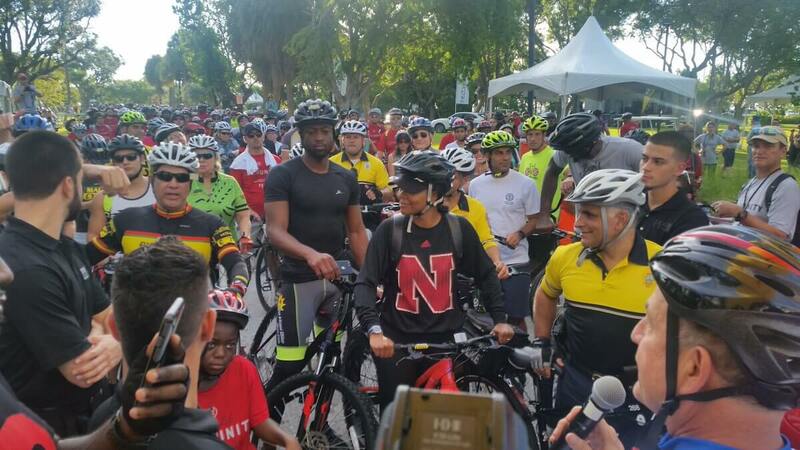 Earlier, we discussed how Dwayne Wade wants violence to end. Thabo Sefolosha wants police brutality, specifically to put it to rest. This is important to him because he experienced it firsthand one night outside of a Manhattan club. His leg was broken and he was forced to miss the playoffs. He won a $4 million dollar settlement from the New York Police Department and announced that he would be donating a substantial amount to an Atlanta-based public defenders organization. The organization is called Gideon’s Promise and it represents those who live in poverty in legal cases. J.R. Smith of the Cleveland Cavaliers is known to be a bit of a headcase. He launches uncalled-for threes from way behind the line and is a streaky player. The former president Barack Obama even noted in a speech that he was surprised that Smith came to an event with his shirt on. When it comes to charity work, he has his head on straight. Each year, Smith hosts a charity golf tournament supporting his foundation. 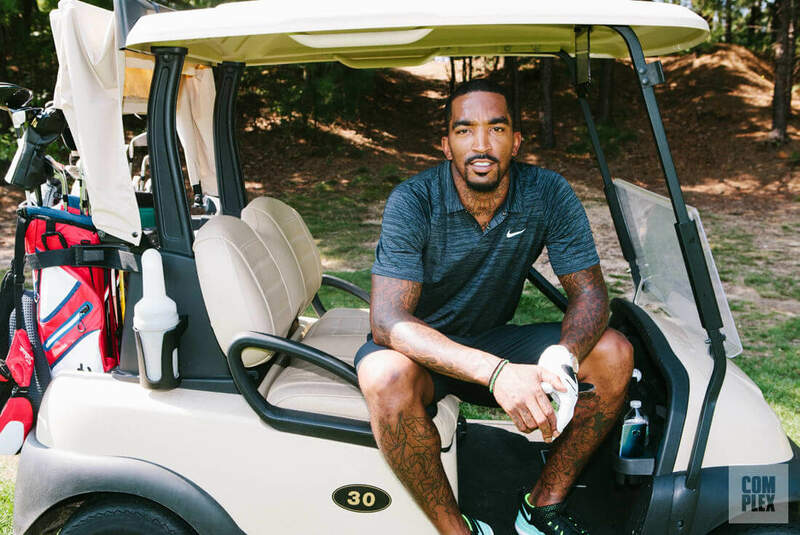 The J.R. Smith Foundation aims to assist underserved children in their health, education, personal development, and enjoyment of life. The foundation offers help to those in tough situations.